The Illuminating India season is a celebration of India’s contribution to science, technology and mathematics throughout the world. Explore the season’s free exhibitions Photography 1857–2017 and 5000 Years of Science and Innovation, and discover artist Chila Kumari Burman‘s response with India Illuminated! a series of artworks commissioned by the Science Museum. 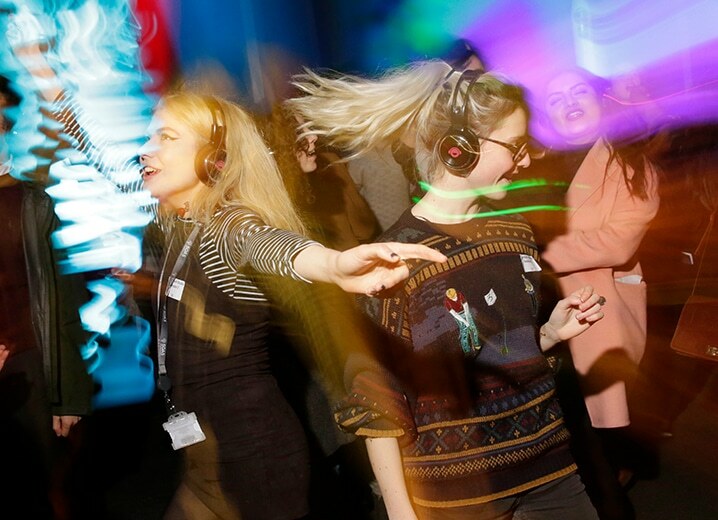 This evening, celebrate the science, sounds and spirit of India at the Science Museum Lates! Experience Garba Folk Dance and a Silent Disco with DJ Wondergupta, create your own Rangoli and Kolam patterns, enjoy Indian folk and blues or show off your cricket skills, with a night at the Science Museum dedicated to the Illuminating India season. Find out more here. Gain exclusive access to the 5000 Years of Science and Innovation exhibition with a private out of hours curator lead tour and enjoy three conversations focusing on various aspects of Indian science with curator Matt Kimberley; Dr Aarathi Prasad, biologist, writer and presenter; and author John Keay, one of Britain’s leading historians of British India and a Fellow of the Royal Geographical Society. Find out more and book here. Discover the story of the man whose theories revolutionised mathematics: Srinivasa Ramanujan. Enjoy a special screening of The Man Who Knew Infinity followed by a panel discussion hosted by the President of the Royal Society, Sir Venki Ramakrishnan. Find out more and book here. Don’t miss the world premiere of a musical response to Photography 1857–2017 by Mercury Prize-winning composer, producer and tabla player Talvin Singh, commissioned by the Science Museum. Yorkston, Thorne & Khan will support Singh on the night, bringing together touches of jazz with traditional Indian classical music and British folk. Find out more and book here.